Location: Inyo County, near Olancha. From US 395 (20 miles north of the junction with highway 14), look for Cinder Road, signed for Fossil Falls. Turn right and follow Cinder Road for 0.6 miles to a junction. Turn right and follow the access road another 0.6 miles to its ending at a small parking lot. (Don’t take the turnoff for the campground). 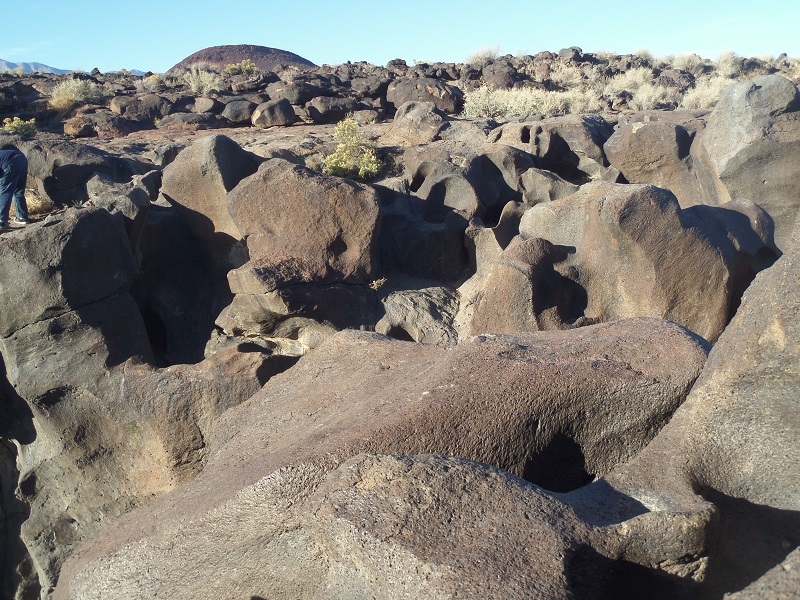 Fossil Falls is a pair of dry waterfalls in a volcanic field a short distance from US 395. A short hike brings you to this unique geological site, which is a perfect spot to get out of the car and stretch your legs if you are headed up to Mammoth Lakes or Bishop. 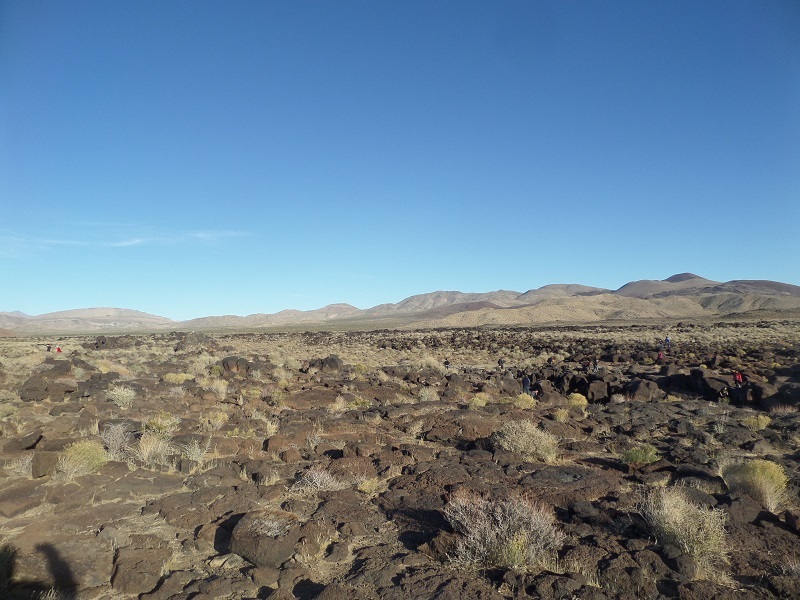 Fossil Falls is located about 45 minutes north of Red Rocks State Park; the two could be done as a long day trip. (Fossil Falls is about 1.5 hours north of the Antelope Valley and 2.5 hours from downtown L.A., depending on traffic conditions). 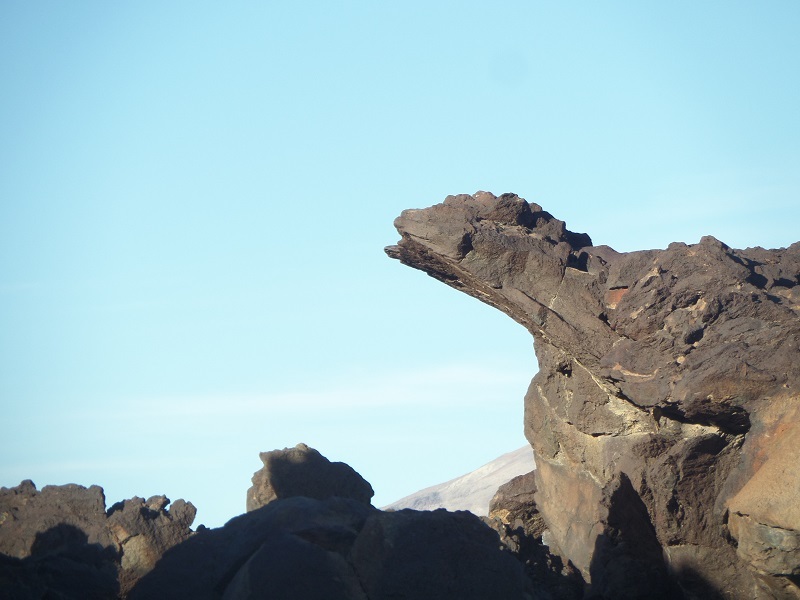 Geologically, Fossil Falls is a baby, having been formed no more than 20,000 years ago from glacial runoff. 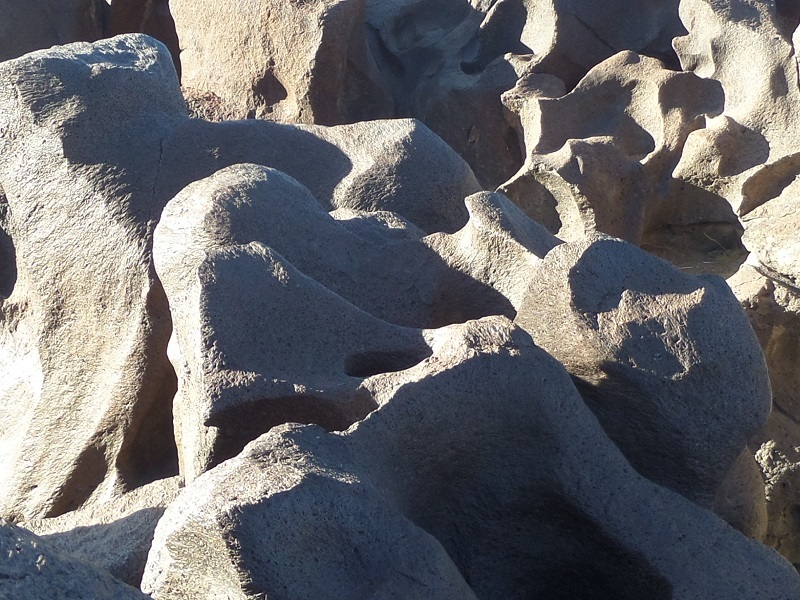 Water and lava have created an intricate series of crevasses, caves, knobs and other shapes, unlike any other landscape in the L.A. area. The dramatic backdrop of the eastern Sierras adds to the scenic appeal. The stream bed descends gradually southwest toward the lip of the 40-foot fall. A “tributary” comes in from the north, dropping down two levels. The spot above the confluence of these two dry rivers provides the best views. Wonderful place to take a break on 395. Pleasant little hike, and a vault toilet, Always nice to know where public restrooms are located when you’re driving long distance! And a trip description here. Hmm. That didn’t work. Trying, again.